[How-To] Use All Cloud Storage Account with One Single Account. These day Cloud Storage is most frequently used online services. Many Internet users use Cloud Storage services. There are many companies that are providing free cloud storage services. Google Play, Dropbox, OneDrive and Amazon S3 etc are most famous Cloud Storage. Cloud Storage services make our life so simple. It is so easy to access any file from anywhere in the world with security also. But, Cloud storage experience is very nice for those people who have only one account. If you have multiple Cloud Storage accounts first you have to remember different password for different accounts, It is so tough task for the people who do not use password managers. When you want find any file you have search it on all your cloud Storage accounts and if you are in hurry so this problem is so big. Solution is MultCloud . MultCloud is a simple internet site that helps you by combining all your cloud storage at one place. MultCloud is made by AOMEI Tech. They call there self as a a central management platform. MultCloud supports most famous CloudStorage services like DropBox, OneDrive, Google Drive,Amazon S3,BO,Sugar Sync , WebDav and your FTP. The Best thing about MultCloud is it is free. The user interface of this site is very nice and friendly for almost all user. You just have to sing in and use all your Cloud Storage files. You can search any file on any of your cloud storage in once. You can move file from one cloud storage to another. You can also share the files with public directly from MultCloud by right clicking on the file selecting share. You can remove the share link after some time. You can link any number of accounts that you want to add i.e there is no limitation on adding accounts. How To Use Access Multiple Cloud accounts with MultCloud. 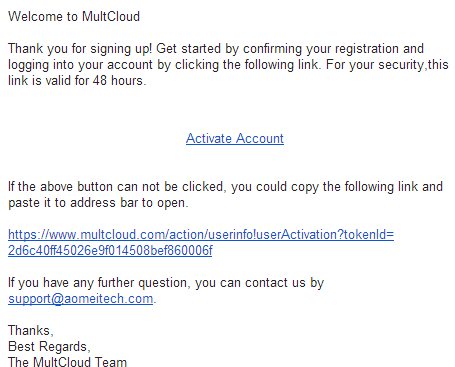 As i mentioned above the user interface is so easy to use and Creating an account on Multcloud. You have to just fill some form. Click on this link to got MultCloud. Now just fill your E-Mail and desired username and password. Keep a strong and unique password because this account will access all your Cloud Storage services.After filling form You have to activate your account from your E-mail. So just check your mailbox. The E-mail will look like this. After doing this sign in again. 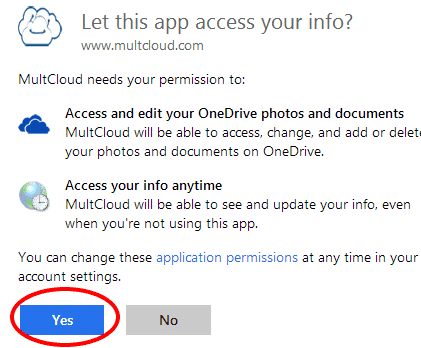 If you want to use Multcloud, you have to link all your account once to use this service i.e you have to grant permission to MultCloud so it can access you files and folder. To link click on add cloud Drives and then select your cloud storage service. I am connecting my OneDrive account in the same way you can do the same for your other services. After this step you can select the display name for your service and after saving display name 'allow' MultCloud to access your cloud storage service. Once You do this you will be able to see your files and folders.